Learn how to take charge of the chemicals in your home with one of my free, one-hour classes! Did you know that the average person applies about 300 chemicals to their body every day? And that at least 80 of those chemicals touch your skin before breakfast? Soap, makeup, shampoo, and hair care products are four of the most common sources of these chemicals, but fabric softener, dryer sheets, air freshener plug-ins, and candles are among the biggest pollutants in any home and can have detrimental effects on the skin, respiratory, and endocrine systems. We’re all guilty of buying bright blue dish soap and cleaning our homes with chemical-based solutions that contain ingredients we can’t pronounce, but health and safety data only exist for 15 percent of all the chemicals that are currently available, and we are poisoning our families with their continued use in our homes. Choose a better path with essential oils. These natural, chemical-free solutions are steam-distilled, cold pressed and extracted from pure plants. Whether you are refreshing your home or lifestyle with lemon, tangerine, lavender, peppermint, or other essential oils, there is nothing in them except one oil. What can you use essential oils for? A million and one things! Cleaning supplies, toothpaste, deodorant and other personal care products, a harmonizing scent in the diffuser, oil-infused nutritional supplements, and much more! If you’re ready to learn how to kick toxic chemicals in your home for good, come to a one-hour class where I will walk you step by step through how to make these easy, simple, and small changes that you can do to protect yourself and your family – for free! Our Home Events are hosted by anyone that is interested in learning more about Essential Oils and has a group of women with the same interest. If you are interested in hosting a home event please contact us today! 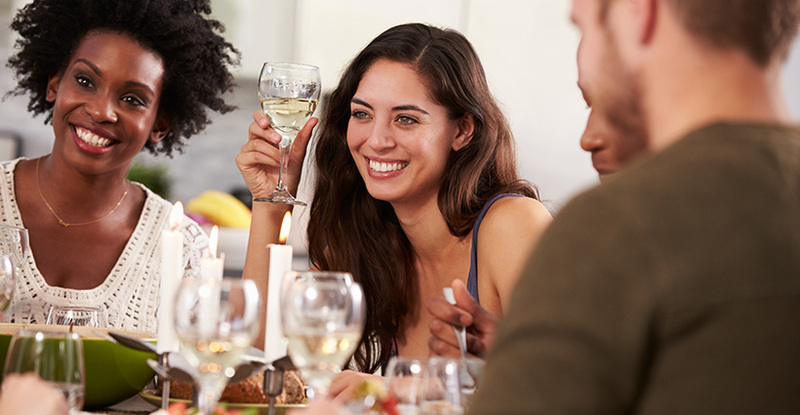 Our home events can be done in any atmosphere but the typical is an intimate experience with women you already know, cocktails and hor d’oeuvres and a short class on the most used daily essential oils. Sometimes the Home events include small side Make ‘n’ Take experiences as a benefit. If you are interested in hosting a Home Event for your friends please complete the form on this page, in the How May We Help You section please indicate you would like to host an event and someone will be in touch with you immediately to discuss the details. Virtual Events are amazing for individuals that are curious about Essential Oils but may not know someone that is currently utilizing Essential Oils or for individuals that may just not have time to attend an in home event. Virtual events share just as much knowledge as home events and there is a live question and answer portion for the class. It may be virtual but you will feel like it is in person! If you would like to sign up for the Virtual Class, please click on the link associated with the class and sign up through GoToWebinar.com. GoToWebinar is easy to use on your Laptop as well as on any mobile device. You can download the app from any mobile store you have that is associated with your mobile device. Public events will be hosted in Orlando, Florida from time to time. Event times and locations will be posted as they are scheduled. Don’t forget to sign up for the free newsletter so you are updated on new classes as they are added.